PACIFIC POWERTECH is the leading independent electrical power service provider in BC. We offer NETA certified Field Service and Engineering resources at the highest technical level. A solid 28 year history with our original parent company, MAGNA IV Engineering, has given us experience and resources unmatched in the industry. 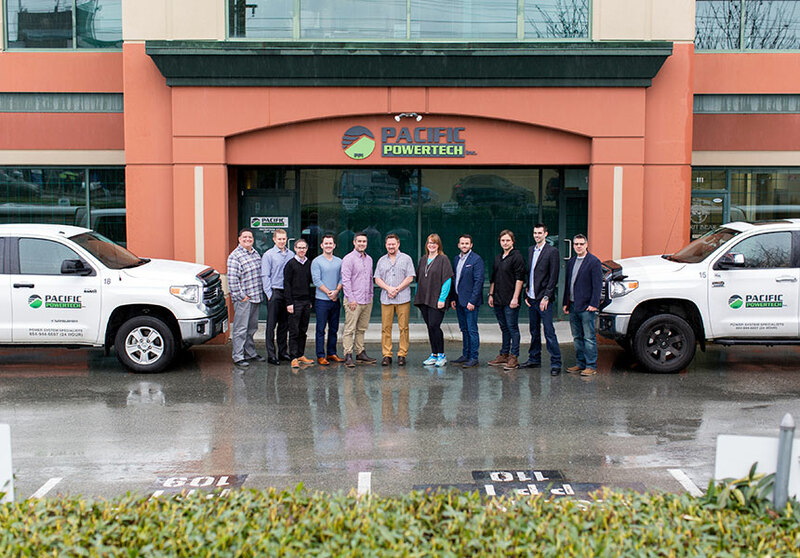 Now proudly independent and re-branded as Pacific Powertech Inc. in 2011, we look forward to continuing our signature commitment to client service excellence. Strategic partnerships and staying current with advancing technologies allows us to ensure that our clients have access to the most up to date options in electrical maintenance and continuity of service. We were also proud financial sponsors of the new CSA Z463 "Electrical Maintenance Guideline" and proudly adopted this new Canadian document when it was released in 2013. Safety is a primary focus and key element of our company and we are proud of our record in a sometimes challenging field. We are trained and equipped with the most recent and up to date safety equipment and procedures. We have supported the development of CSA Z462 "Workplace Electrical Safety" and incorporate the elements of this document in our day to day work. All our technicians and engineers are confident and comfortable in the electrical high power environment and we are constantly improving our systems and procedures through alliances with industry leaders such as ESPS. Quality assurance and report documentation are controlled through an in-house document management system which is aligned with rigorous NETA requirements for continued membership. We are able to respond immediately to any customer inquiries and work hard to ensure any customer concerns are addressed quickly and successfully. Our longevity and progress in our field has been proven by staying the course during projects despite any difficulties or setbacks; we are committed to 100% customer satisfaction. Environmentally, we are aware and respectful of our position in the industry. All the work we do is undertaken with the environment as a primary concern. Regulatory requirements are adhered to as a minimum and in most cases we far exceed mandated laws. Pacific Powertech Inc. has developed specialized procedures for the handling of some specific toxic and harmful electrical materials. Our experience and commitment to the environment is proven and will become readily evident on every job site. Our skilled engineers, technologists and power system electricians are among the highest qualified electrical power specialists in the business. Our focus has always remained electrical power, its generation, distribution, control, protection, and safe utilization. Let us offer you the benefit of our services no matter your sector of industry or infrastructure!